Now that it’s back-to-school time, I have received several requests from friends for easy after school snack ideas. I’ll admit, sometimes we just go with a Kind bar or a Lara bar (both options have less sugar and minimally processed ingredients). But many times it’s apples and peanut butter, guacamole and whole grain tortilla chips, a whole wheat pita with some olive oil, a piece of fruit, or some fresh veggies. Sometimes I get creative and try new things. The after school snack is a great time to try new ideas with your kids, because they tend to be ravenous when they come home from school and more willing to try new foods! 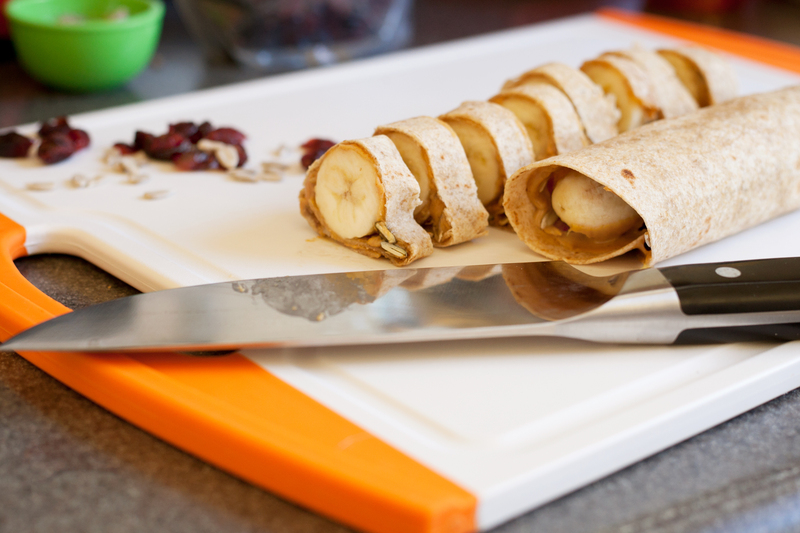 One of my daughter’s favorite easy but delicious snacks is a whole grain tortilla filled with banana and peanut butter. You could also add granola in there for added “heft”, especially when using this as a breakfast or lunch idea. These wraps travel really well, so put them in your kids’ lunch boxes, and bring them along for when you need a quick dinner between activities. There’s great protein and healthy fats in the peanut butter. The banana is full of potassium and fiber (you could also use apples in here). The granola has a nice crunch, especially if it’s homemade and/or one that isn’t crammed with sugar (I really love the Purely Elizabeth brand). Keep an eye here for more healthy snack ideas. If you have any recipes for snacks your kids like, please comment and share below!